Open to Villages Residents and Non-residents! Creative art workshops for an artistic retreat. 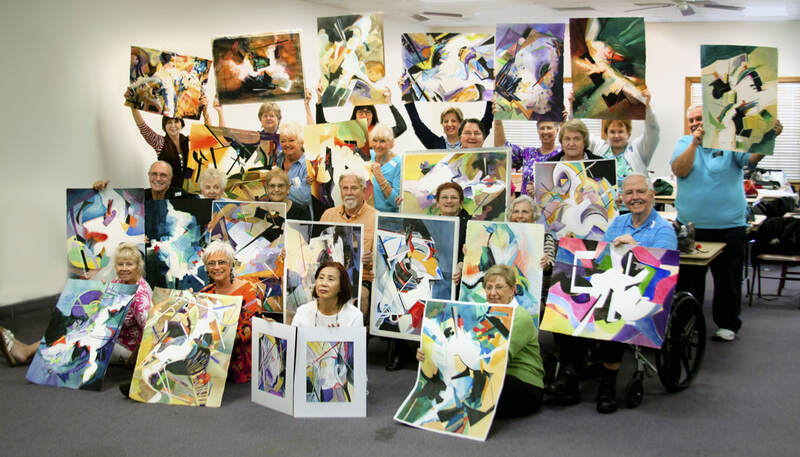 We present a roster of nationally known professional art instructors. We endeavor to find an exciting slate of teachers with experience in a variety of subjects. For a sneak preview of each instructor's paintings, please see our workshop schedules for their websites, or simply Google their website and enjoy viewing their work. and send it with your payment. Questions? Contact bbaug97@aol.com or call 352-572-5317 or 352-753-1383. We have a new classroom for workshops. Click here for details. Read the Daily Sun's article about the new classroom. 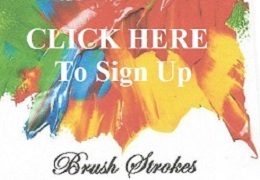 Submit your email address to stay up to date on workshop news through our newsletter "Brush Strokes." Our workshops offer learning experiences structured to reach each student at their present level and help them build skills they can apply to their future paintings. As an art student in our workshops, you have the opportunity to focus on your creativity and get to know other like-minded people in a relaxed atmosphere. In addition to workshop schedules, our website provides you with details about our classroom, lodging options, directions and much more. Please take a look at why we are considered Florida's Art Destination and feel free to contact us if you have any questions.